Over 35 staff members from the Royal Canadian Air Force (RCAF) are in Brazil to share in CRUZEX FLIGHT 18. CRUZEX FLIGHT 18 is a key South American multinational exercise hosted by the Brazilian Air Force with participation from Brazil, Canada, Chile, Colombia, Peru, France, the United States and Uruguay. Those participating will “exercise tactical transport missions in conflict and humanitarian relief scenarios in a combined environment while exchanging information on doctrine,” according to a press release. By exercising in unfamiliar environments, like in the case of Brazil, RCAF personnel will continue to build the operational readiness to fly anywhere in the world to support Canadian Armed Forces operations and humanitarian relief missions. “In addition to flying tactical missions, the Air Task Force members will also engage in academic discussions regarding Peace Support Operations, thereby building relationships with our partner nations and contributing to capacity building in the region,” said Lieutenant-Colonel Andy Bowser, CRUZEX FLIGHT 18 Air Task Force Commander. 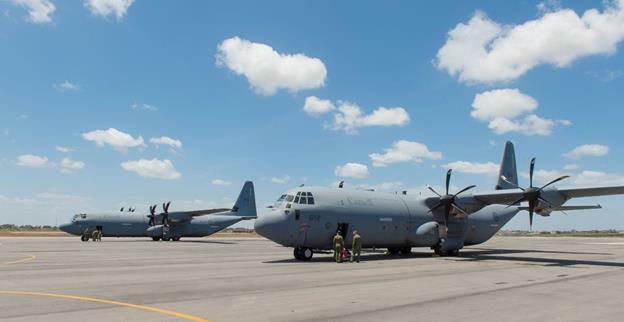 The RCAF has provided two CC-130J Hercules aircraft along with members from 8 Wing Trenton, 1 Canadian Air Division and RCAF headquarters. Also, members of the Canadian Army Advanced Warfare Centre are apart of the Canadian contingent for CRUZEX FLIGHT 18, which runs from November 18 to 30. The CC-130J Hercules can carry up to 92 combat troops or 128 non-combat passengers and can be used in a wide range of missions, including personnel transport, tactical airlift and humanitarian aid delivery. The RCAF has a bilateral relationship since 2009 with the Brazilian Air Force (Força Aérea Brasileira) and conducts biennial Deputy Commander-level staff talks. Brazil is one of the Government of Canada’s priorities for engagement in the Western Hemisphere.